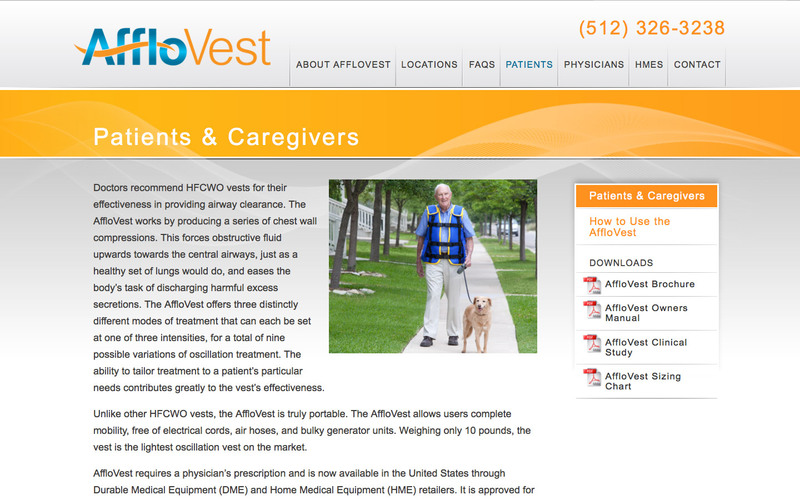 The AffloVest is a revolutionary product that gives mobility to patients who need treatments for respiratory illnesses. The site promotes key features and comparisons to other products on the market. Patients, caregivers, physicians, and storefronts can easily find information specific to their market. 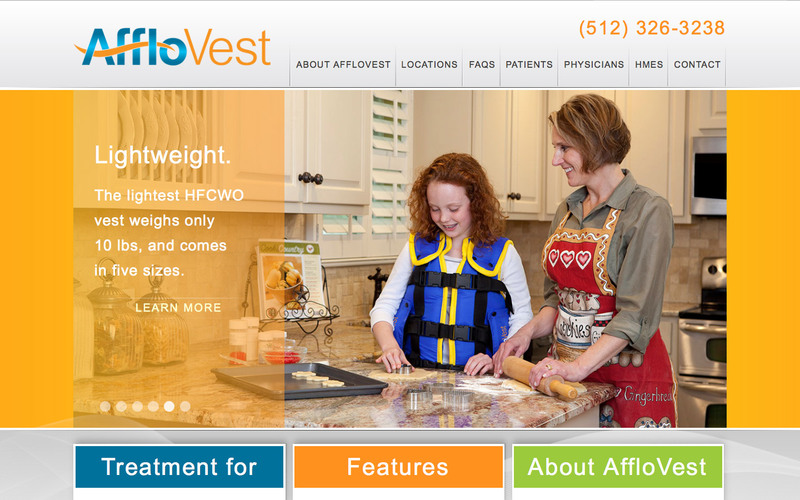 The design and photography used on the website reflect the life-changing experience given to the patients. 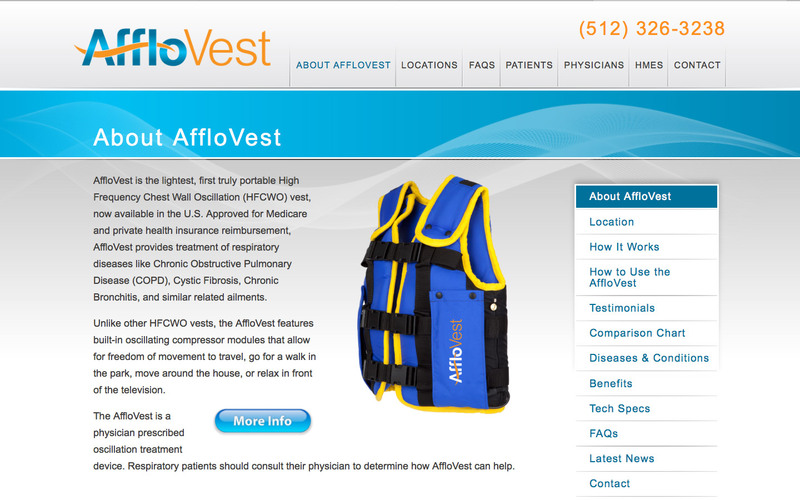 The AffloVest Website was created in concert with the entire branding, print, and marketing campaign.